Stencils are so popular these days. In fact, thanks to all the mixed media that's out there, they are enjoying a kind of revival, making them more in demand and more available than ever before. I, myself, cannot get enough of stencils! I use them frequently in my own mixed media projects, as well as in my newfound love, Gelli Printing. The only problem is that stencils can be ever so expensive to purchase! Were you aware, however, that you can make your own stencils? If you have dies and a die cut machine, like my beloved Big Shot, you can make stencils easily. The die shown below is from the Rose Garden Thinlits set (page 194 of the big catalog). Isn't it gorgeous? When I used this die to cut from burgundy cardstock, the photo below shows what I ended up with. I used Sponge Daubers (only a buck each on page 180 of the big catalog!) 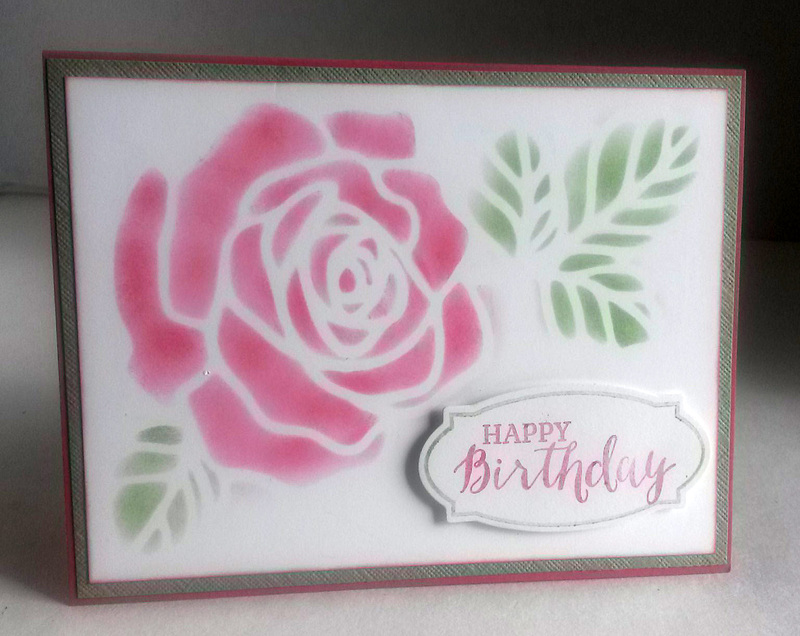 with Rose Red and Wild Wasabi ink to create my dreamy-looking rose. 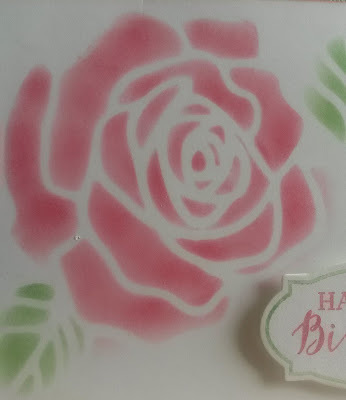 The only problem with homemade stencils such as this one is that it is not snuggled into the center of solid material, such as plastic, to prevent going outside the outer edges with the stenciling. The very thin outside edges of my stencil proved to be a challenge. I thought I was being really really careful not to go outside the edges. However, when I lifted my stencil away, I discovered that I wasn't as successful in that as I'd wished. At first, it bothered me. But, I quickly came to embrace the imperfect look. It seemed to add to the dreamlike quality of the rose itself. 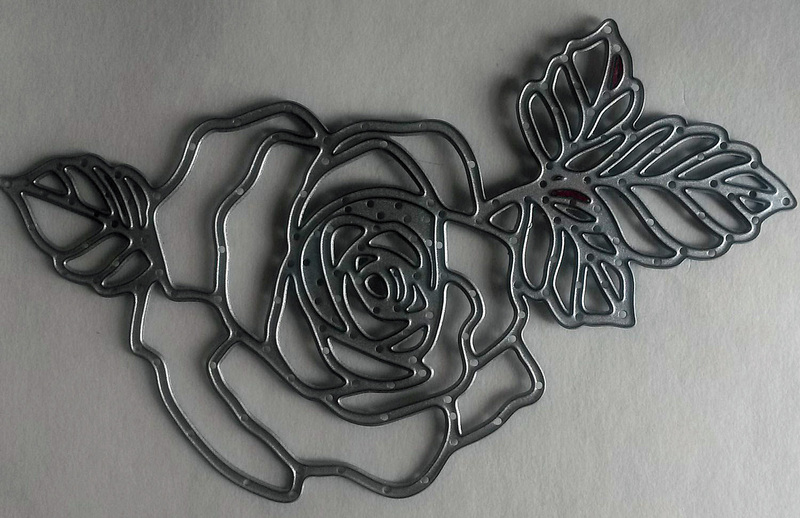 Because the rose, the focal point, was so dreamy-looking, I didn't want the sentiment to be stronger than the rose. 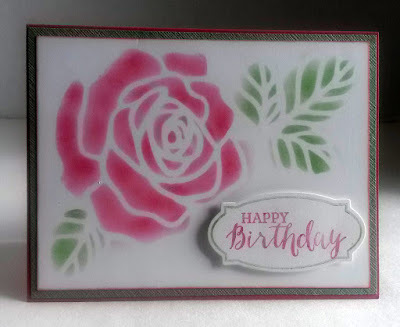 So, before I stamped the words and frame for the sentiment, I first stamped them off on scrap paper so the stamping I did was a second generation, much softer look that complemented the softness of the rose. I will definitely be making my own stencils for cardmaking again. Maybe next time I will try one that doesn't cut up to the edge. When I do, I will be sure to post my results. 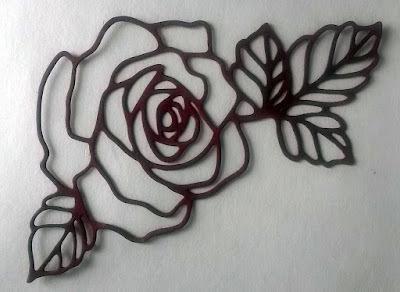 In the meantime, give making your own stencils with diecuts a try! Or have you already tried this method? Were you happy with the results? It's just another way to extend the use of what you already may have. Keep exploring and finding something new! I'll keep planting those Paper Seedlings to help you along the way. This would make a really thoughtful personal gift. Whoever receives must feel very card about. Nicely done. What did you use to adhere the stencil temporarily to the cardstock? or did you just hold it in place very carefully? I rather like the dreamlike quality that the ink outside the stencil lends to the rose. However, I wonder if a bit of masking fluid or even rubber cement around the edges of the temporarily adhered stencil might prevent the ink from landing outside the lines. You come up with such clever ideas! Thanks for sharing them with us! What a beautiful card! Great technique, too. I bet people love receiving such a heartfelt card. Truly a gift! Oh, how pretty. Loving this lovely rose. Thanks for sharing at DI&DI. Simply gorgeous. Thanks for sharing with us at #OvertheMoon Link party. It is always lovely to have you join us. Lovely card! Thank you for sharing at Ravenwould. That looks really lovely. I usually stay away from stencils because I am afraid they will bleed through but yours has such a nice, soft effect. The secret to creating with stencils is to use as little paint/ink as possible. It is always wiser to build up the color intensity than to start with too much. Too much color can so easily seep under the edges. I used a sponge and ink pad. Hope that helps. Thank you for the nice comment!